MCLAB's RNA-Seq Library Construction Kit is a highly efficient library construction kit for preparing single, paired-end or multiplexed cDNA libraries for high-throughput sequencing. MCLAB's RNA-Seq Library Construction Kit is a highly efficient library construction kit for preparing single, paired-end or multiplexed cDNA libraries for high-throughput sequencing. This kit can be used to convert RNA transcripts into cDNA whole transcriptome libraries or small RNA libraries for next-generation sequencing analysis using Illumina® GAIIxTM, HiSeqTM 2000 and MiSeq® sequencing platforms. With preserving the complexity of sequencing libraries, the protocol is quicker than the standard method and could be used routinely for RNA sequencing through the Illumina® platform. The superior function of MCLAB's RNA-Seq Library Construction Kit depends on our proprietary enzyme systems. Unique improvement to each key enzyme at specific steps in the library construction workflow increases sensitivity, flexibility and speed for next-generation sequencing. The target RNA fragments can be tagged with linkers at both ends by RNA ligases (Cat# T4RL1-100 and T4RL2T-100). Corresponding cDNA can be synthesized by Universal Reverse Transcriptase (Cat# SSII-100). 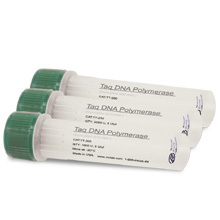 The cDNA library can be enriched by PCR with high fidelity Pfu DNA Polymerase (Cat# AD-200). 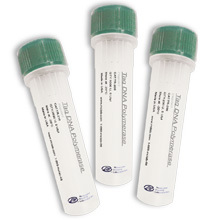 After gel- or beads-based purification for size selection, final cDNA libraries can hybridize directly to the oligonucleotides on the flow cell surface for cluster generation and sequencing thereafter. 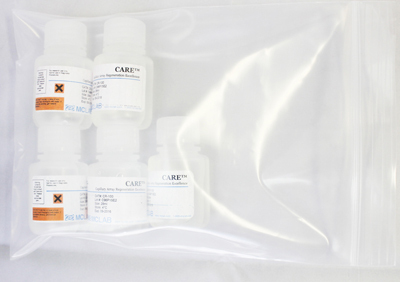 Sufficient reagents are supplied in the MCLAB RNA-Seq Library Construction Kit (Illumina®-compatible) to prepare cDNA libraries from 8 samples for high-throughput sequencing through the Illumina platform. Upon receipt of the kit, immediately store the components at –20 °C in a freezer without a defrost cycle.